I have made several images of this very photogenic tree. 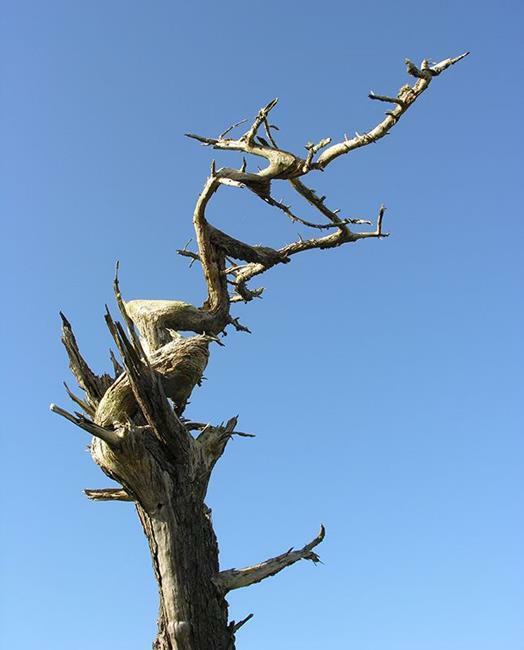 I like the light in this one, and the stark contrast between the wind-beaten wood and the blue sky. Taken with a Nikon E8800.